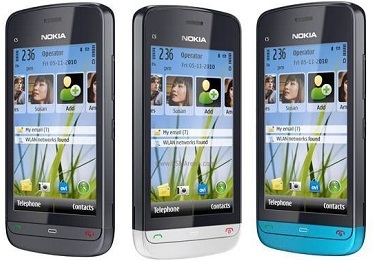 Rediff.com » Gadget » How Many of These Nokia Phones Have You Used? Today, top smartphone brands like Apple and Samsung are known to dominate the smartphone industry. But, there was a time when Nokia ruled it and like how! How Many of these Nokia phones have you used? The good news is that you can buy these phones as well. Nokia N73 looks elegant and perfectly suits the image of a working professional. By then, Nokia had started taking the camera bit seriously. With a 3.2 MP camera with Carl Zeiss Optics and advanced autofocus, this phone was a delight to photography enthusiasts. The 2.4" screen was decent enough to take reasonably good pictures. With stereo FM radio, you will never have a dull moment. 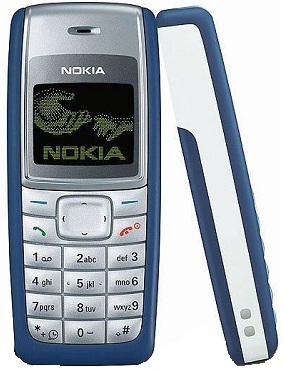 Nokia 1100, better known as the phone with a torchlight. It was a highest selling mobile phone at one point in time. It was marketed as the ‘dust resistant’ phone which was meant for rugged use. The big selling point was a tiny flashlight which could be turned on with a single button press. 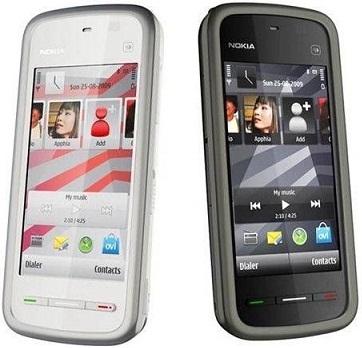 Nokia 5233 is a stylish touchscreen mobile phone at a pocket-friendly price. It runs on Symbian OS v9.4 S60. With ARM 11 434 MHz processor, the performance of this mobile phone has been reasonably decent. This phone has a lot of attractive features like proximity sensor, handwriting recognition, accelerometer sensor for UI rotation, photo editor and so on. It comes with a 2 Mega Pixels camera and 3.2 inches display which was quite the rage in those days. This was the favourite mobile phone of people who loved listening to the radio on the go as it had distinguished FM radio features. Along with features, this mobile phone had an eye-catching design. 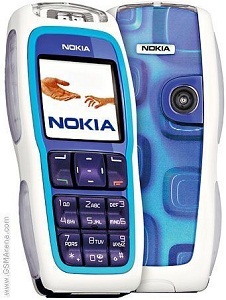 Nokia 1600 was released in 2005. 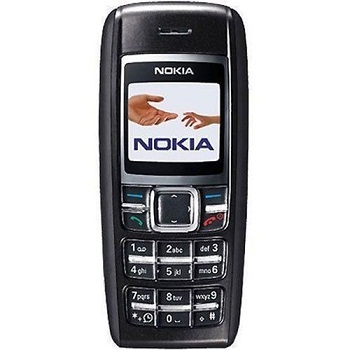 This phone was among one of those few phones which were known for its durability. Besides all the other standard features like calculator, ringtone composer, and pre-loaded wallpapers, this mobile phone has a special feature of a talking clock. Press the asterisk button on the phone to activate the speaking clock. 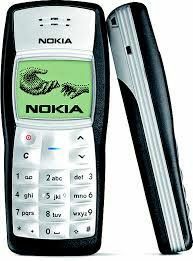 Released in 2005, Nokia 1110i was the highest sold mobile phone of those times. It came with a non-inverted black and white display. With a battery talk time of 5 hours, this phone allowed call barring which means that you could restrict a particular person from calling you. It has some novelty features like speaking alarm and clock, analog clock display and call-management counters. It has three built-in games for entertainment. It has a picture messaging feature which lets you send a picture greeting to your contacts. Launched in 2010, this phone has the most advanced features as compared to the other phones on this list. It has a 3.20-inch touchscreen display with a resolution of 360 pixels by 640 pixels. With 128MB of RAM, this phone can reasonably take up a lot of tasks at once. There is 40MB of internal storage that can be expanded up to 16GB via a microSD card; what more could you ask for! When it comes to a camera, this one has a 5MP primary camera on the rear. A 1000mAh removable battery can almost last for a day on a single charge. With Wi-Fi, GPS, Bluetooth, FM radio and 3G, this phone set a new benchmark in terms of features. Nokia E63 was a reasonably priced business smartphone released in 2008. 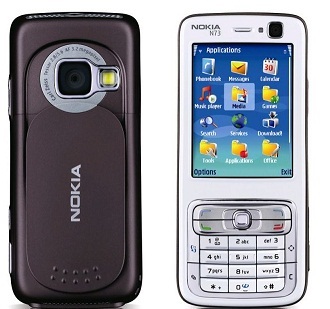 It runs on Symbian S60 platform and its looks can be compared to the Nokia E71. 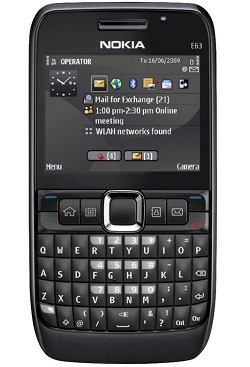 Not just looks, most of the features are identical to the Nokia E71 except for GPS and infrared support. Also, the RAM and camera are a little lower than on the Nokia E71. The only feature which makes E63 better than E71 is the standard 3.5mm audio jack whereas the E71 uses a 2.52 mm jack. 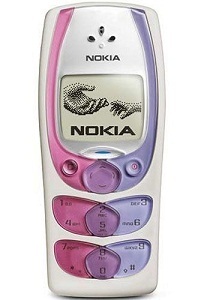 The highlight of Nokia 3220 is the pulsating multicolored lights on the sides that light up when the phone rings.